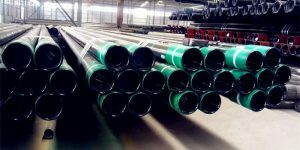 When people purchase steel pipe for pipeline systems, always we see the pipe has been asked for a epoxy coating like 3PE or FBE. So how much do you know about epoxy coated (3PE or FBE) pipe? And in which cases it shall be used? How much of the cost the the 3PE, FBE coating layers? 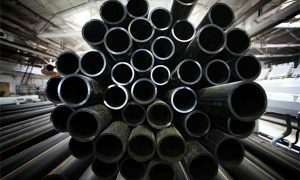 FBE pipe is coated with Epoxy Coatings. So we say Fusion Bonded Epoxy pipe. 3PE pipe coated with Epoxy inside, adhesive layer middle, and outside with polyethylene layer. 3PE and FBE Epoxy coating/coated steel pipe are widely used in pipeline systems for the transmission of oil, gas, water and other fluids. They have highly resistance to corrosive from chemicals, moisture, harmful environment etc. What is FBE (Fusion Bonded Epoxy) coating steel pipe? FBE coating pipe is Fusion Bonded Epoxy coating steel pipe. It is an externally applied heat resin for pipe. With a form of dry powder at thickness 400-600 microns on to the heated surface of pipe. Once the FBE coated on the pipe surface, the FBE film provides an extremely hard surface with great adhesion to the pipe surface. The FBE layer in a even form and have good resistance to the chemical reaction. Strong adhesion, good integrity, anti soil stress and wear. 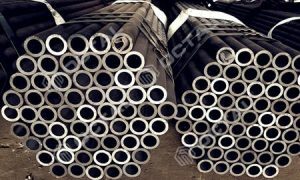 FBE coated steel pipe usually buried in soil and under water between -40~85°C temperature. 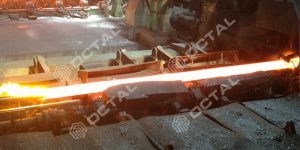 On the other hand, the defect of the FBE pipe is it doesn’t have good resistance to mechanical performances and humid conditions. How many types for the FBE Epoxy coated pipe? It developed from 1950s, and industrialization in 1960s. 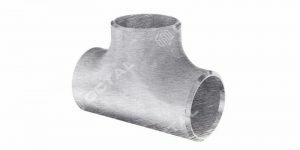 FBE pipe have two kinds: One layer and two layers pipe. 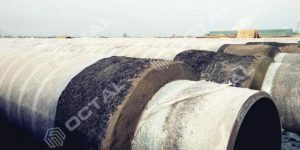 FBE Dual layers coated pipe is recommended to applied for the offshore pipelines and the pipelines systems that operated in the tough environments, it provides high performances on the impact resistance and flexibility. Offers suitable protection for the coating from the damage during transportation and construction. While FBE single layer coated pipe is the generally type for the FBE coated pipe. It offers a rough, non-slip surface for a pipeline that need concrete coating. A special fusion bonded epoxy powder mixed with solid epoxy resin and other adhesive material that helped to adhere to pipe surface. 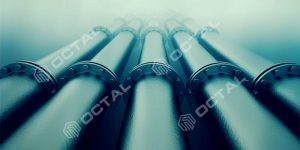 What is 3PE Epoxy coating pipe? The 3PE Epoxy coated steel pipe is with 3 layer coatings, first FBE coating, middle is adhesive layer, outside polyethylene layer. 3PE coating pipe is another new product developed on the FBE coating basis since 1980s, which contains adhesives and PE(polyethylene) layers. 3PE can strengthen the pipeline’s mechanical properties, high electrical resistance, waterproof, wearable, anti-aging. It could protect pipe from the heat loss which only account for 1/4 of pipe. 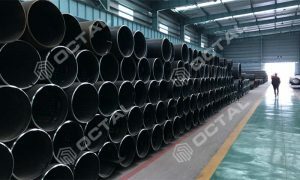 Therefore, 3PE coating pipe integrated with the advantages of FBE and the PE. Whichg more and more widely used in buried pipeline’s transporting of water, gas and oil. 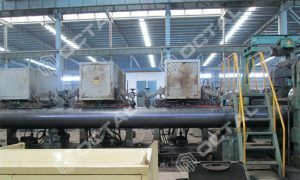 In case manufacturing equipment, 3PE coating steel pipe manufacturers they can also do FBE coating pipe. Let’s see why 3PE coated pipe is more advantage than FBE coated pipe. 3PE epoxy coated steel pipe have good stability and anti-aging performances under the normal work temperature and pressure conditions, consequently its lifetime can prolong above 50 years. 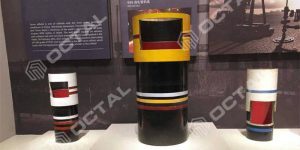 Due to PE elements structure stability is very high, it is resistant to corrosion of natural gas, liquefied petroleum gas, artificial gas and other chemical subjects, no need secondary anti-corrosion equipment. The chemical of soil does not produce any effects to the pipe. 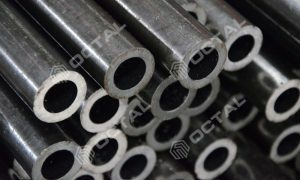 3PE is a kind of soft and flexible material, it can prolong 5 times length then break. While it is easily to bend and no damage. 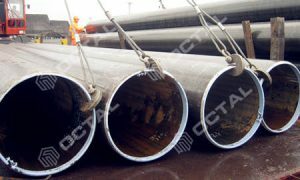 3PE coating steel pipe can bypass objects and cut the fees of installation. Polyethylene is not fragile under low temperature, there for, it is safe used in the temperature at the range of -60℃~60℃. So it can adapt to going down of pipeline, Work in winter. Due to good impact performances, PE pipeline won’t easily to break. Experiments shows that PE pipe wear resistance is 4 times of pipe. especially in area of transporting mud. Compared to varnished pipe, PE coated pipe have better wear resistance. 3PE have smooth surface, its manning coefficient is 0.009. 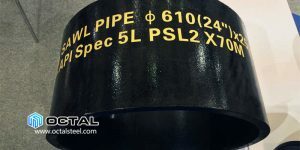 Because of smooth internal surface and non-sticking performance, 3PE coated steel pipe shows higher ability for transporting, and reduce the loss of pressure and water transporting. Low water permeation characteristic provides improved isolation from sea water compared to the other coating systems and FBE pipe. 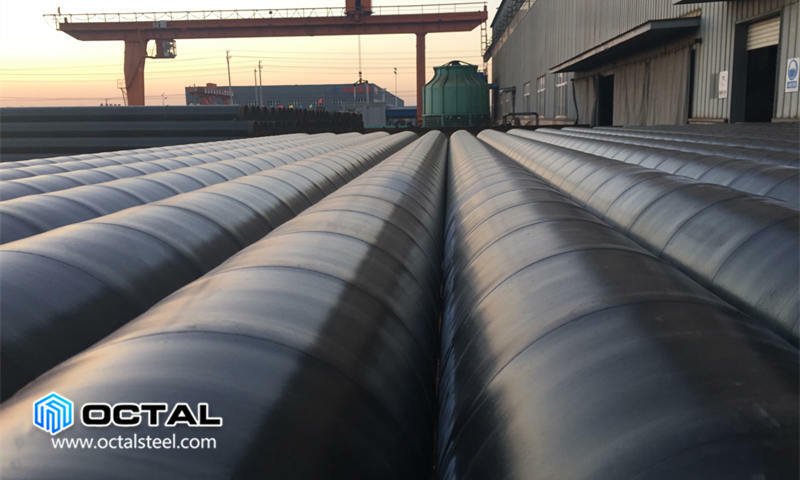 3PE coated steel pipelines in manufacturing process won’t add heavy metal stabilizer, the PE material have no poison and harm, is a kind of green material, and itself can recycled will not cause pollution to the environment. Excellent electric resistance, anti-static performances. 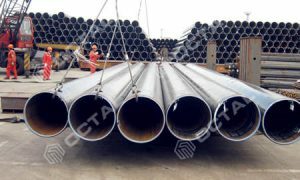 3PE’s weight only account 1/8 for steel pipe, easily to move, bend, welding process is convenient and fast, lower fees for whole project, obvious economic benefits. 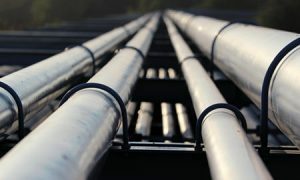 Since 3PE and FBE coating can prolong the lifetime of same steel pipe from several years to decades years, it’s required more than more in recent year pipeline projects.As a result of steel pipe corrosion, the whole world suffers average loss about 3% of global GDP per year, about 2.2 trillion dollars in 2015 according newest data. In which, oil, gas and petroleum industry loss account for 45% about 1 trillion dollars in 2015. According by data, more than 70% oilfield has explored easily to corrupt. For example, The US loss has rise up to 26% of direct economic loss , and China account for 10%.